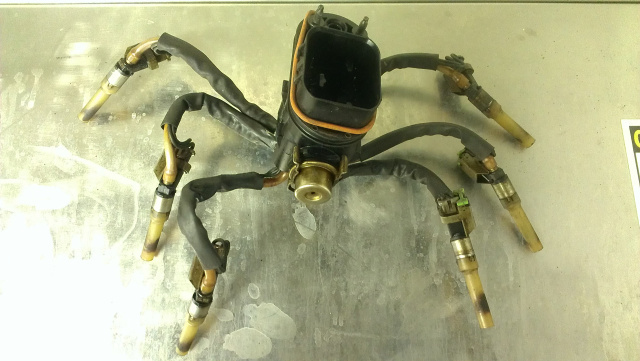 Restore lost horsepower in your Vortec engine with Motor Man's brand new Spider Injectors complete with poppet tubes. A must have upgrade for any 2002-2010 Vortec engine. 1 year unlimited mile replacement warranty. This helpful guide is available to our customers who decide to purchase individual GM Vortec Spider injectors. which are equipped with the Multiport Flexible Injection (MPFI) spider injection system. 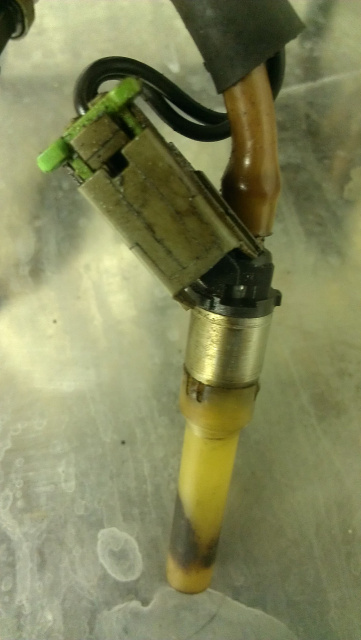 The MPFI injectors can not be used to convert the early style poppet valves found on 1996-2001 models. 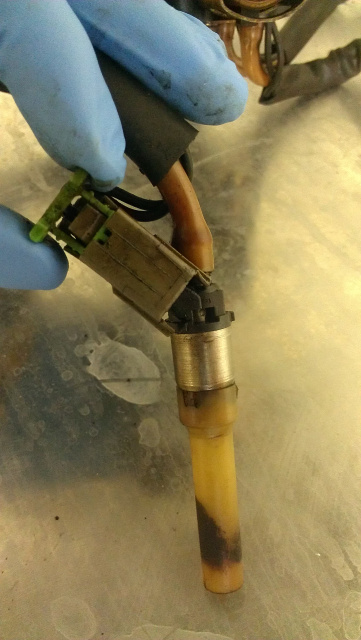 Locate the bright green tab on the injector connector, gently pull the tab straight up to unlock the clip from the injector. push the grey tab in and pull the connector off as shown below. 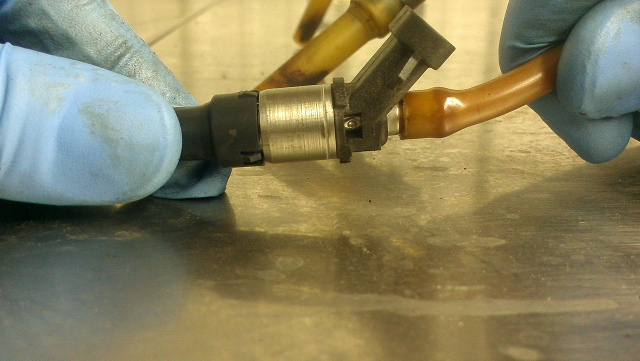 Slide the plug connector wire and black protective sleeve up the fuel line to get it out of the way. 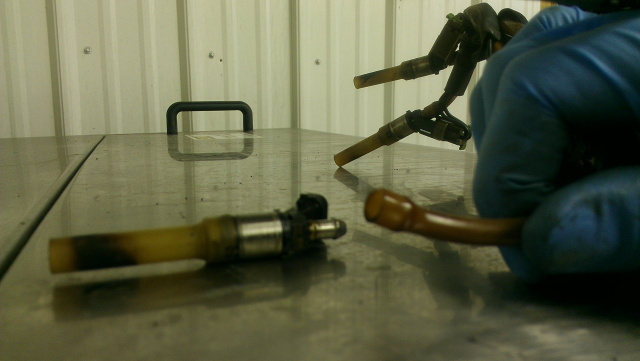 take the injector in one hand and the fuel line in the other, pull the injector off the line. 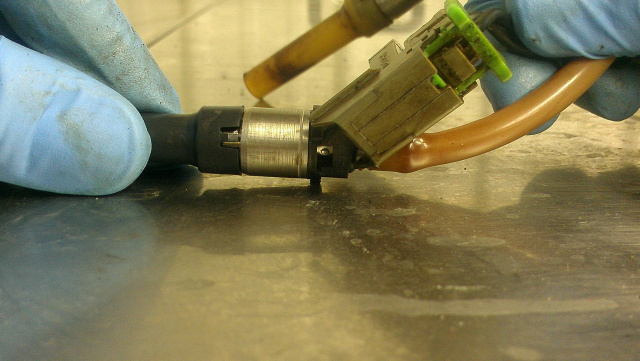 Inspect the fuel line for any damage, the end of the fuel line will be flared to accept the replacement injector. 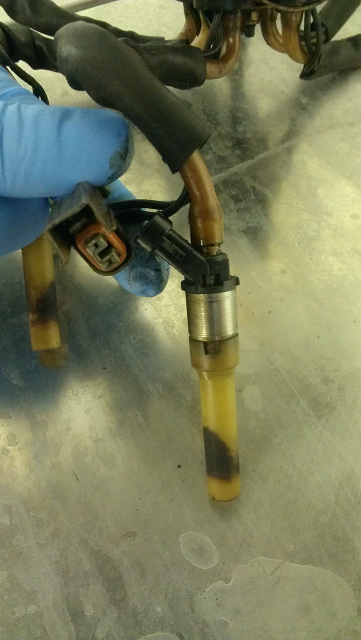 shown below is the new injector that you will install on your current fuel line. 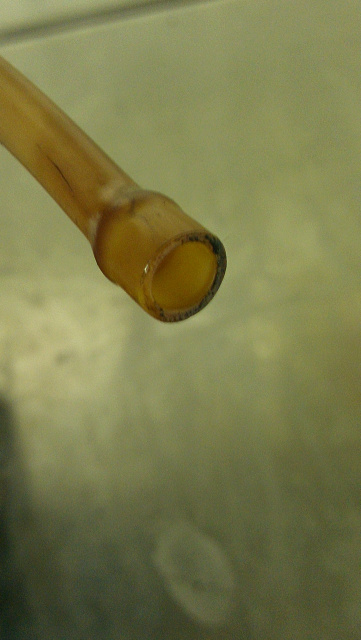 Push the replacement injector into your existing fuel line as shown below. 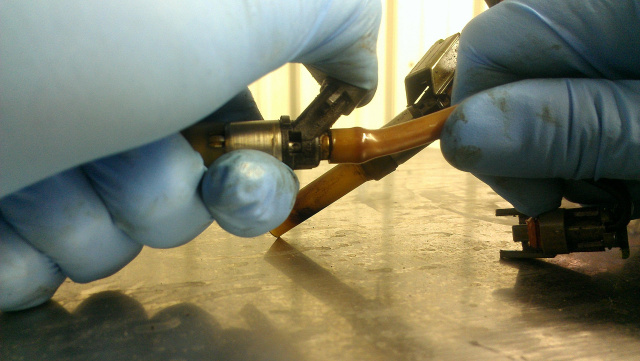 You will hear a snap when the injector is seated in the line. 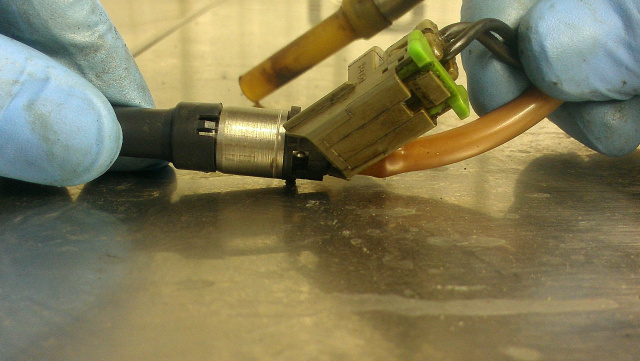 slide the plug wire and black protective tubing back down the fuel line, plug the injector back in and push the green tab down to lock the connector. That's It! 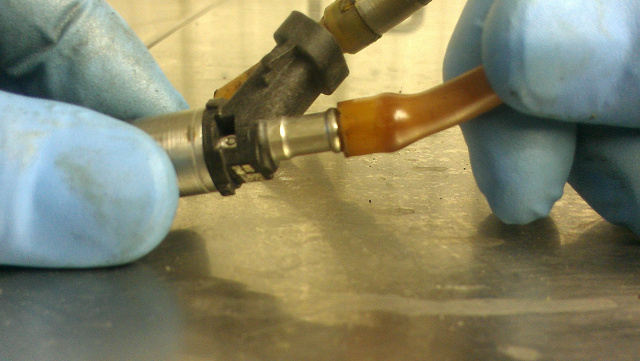 repeat these steps for all 6 or 8 injectors. We hope this guide helps you. Good Luck! Click Here purchase our Brand New Delphi Injectors.